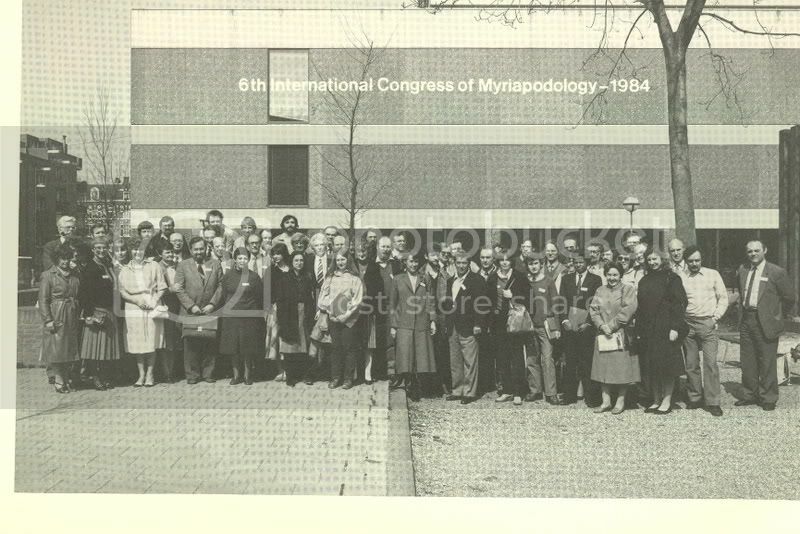 Participants at 1st International Congress of Myriapodology, Paris, 1968. 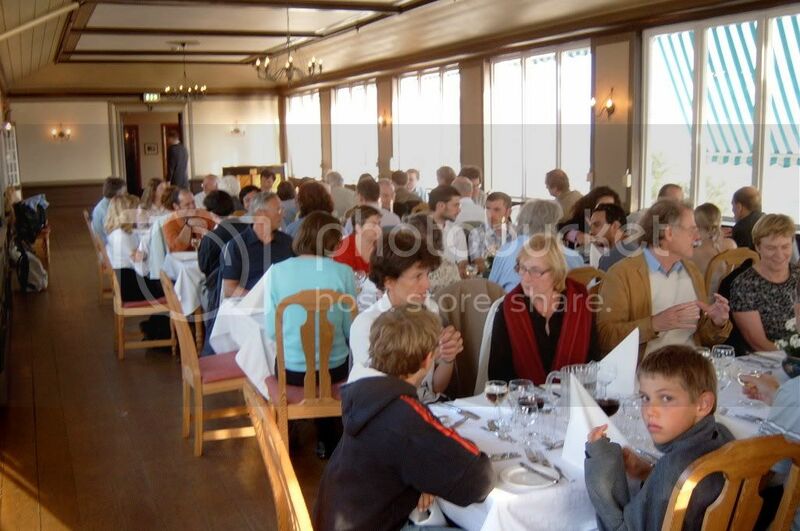 Participants at the 13th International Congress of Myriapodology, Bergen, Norway, July 2005. J.-J. 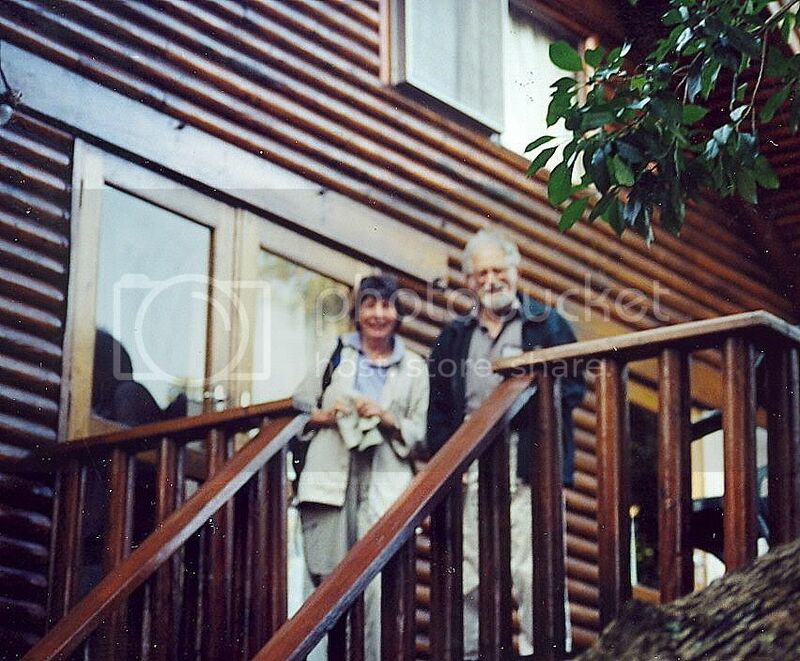 Geoffroy, J.-L. Chao, 12th International Congress of Myriapodology, Mtunzini, South Africa, August 2002. 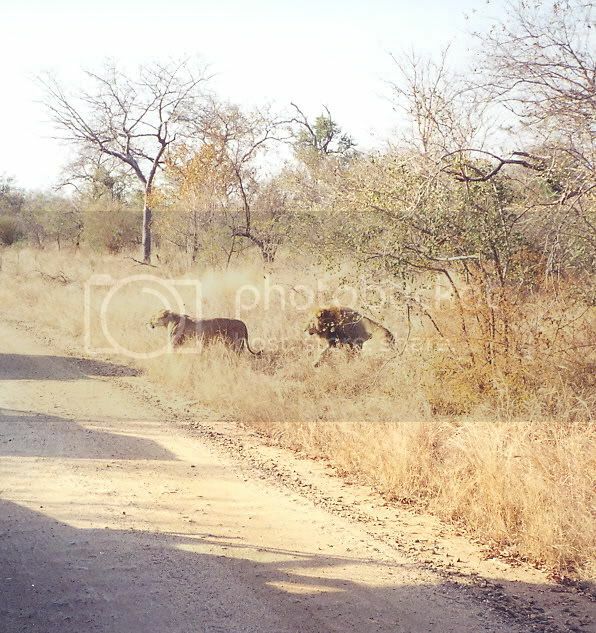 Male & female lions prior to mating, Kruger National Park, South Africa. 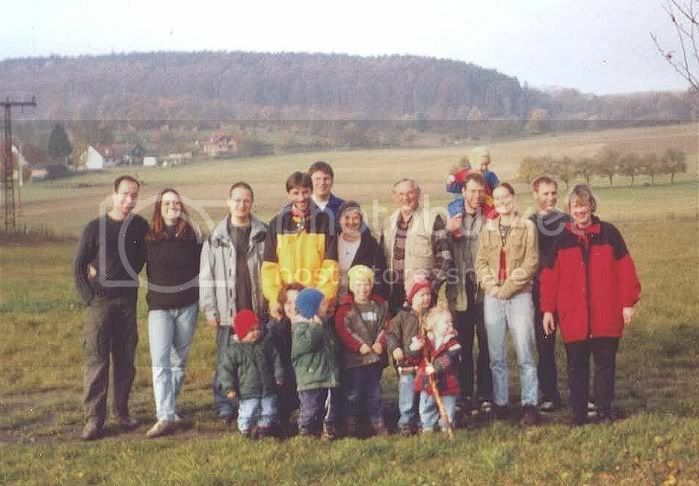 Pre-congress tour, 12th International Congress of Myriapodology, July 2002. 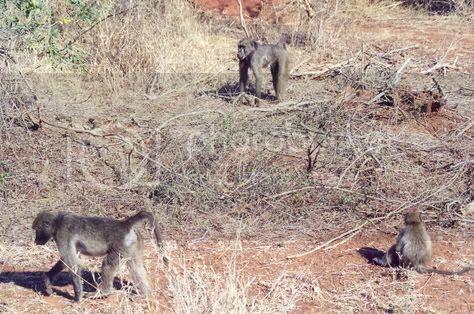 Babboons at Kruger National Park, South Africa. 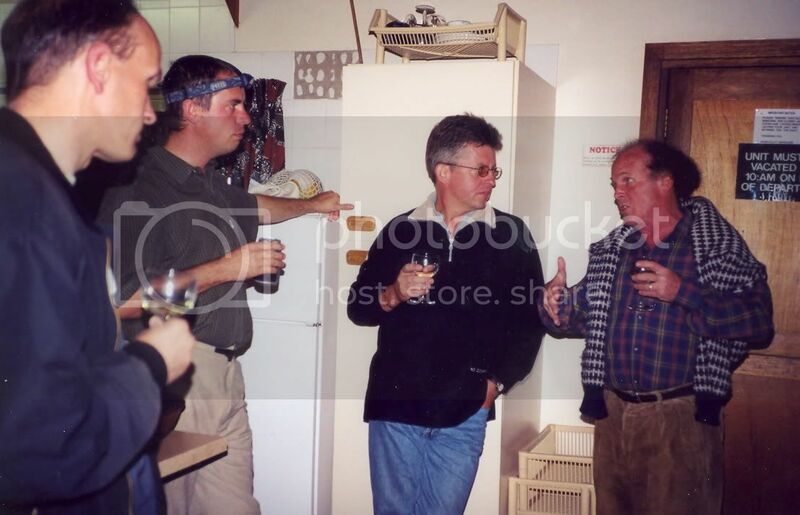 Pre-congress tour, 12th International Congress of Myriapodology, July 2002. 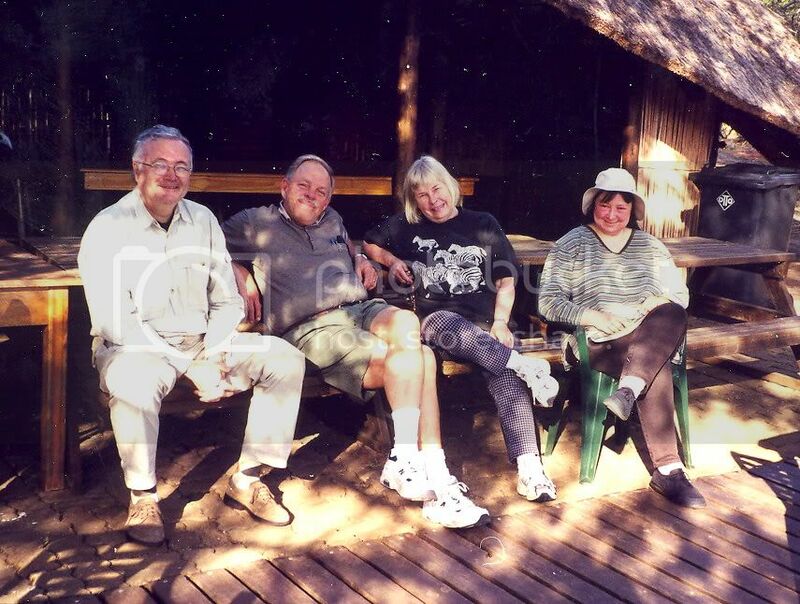 B. Meidell, R. Shelley, H. Ruhberg, L. Shelley at Itala Game Reserve, South Africa. Pre-congress tour, 12th International Congress of Myriapodology, July 2002. 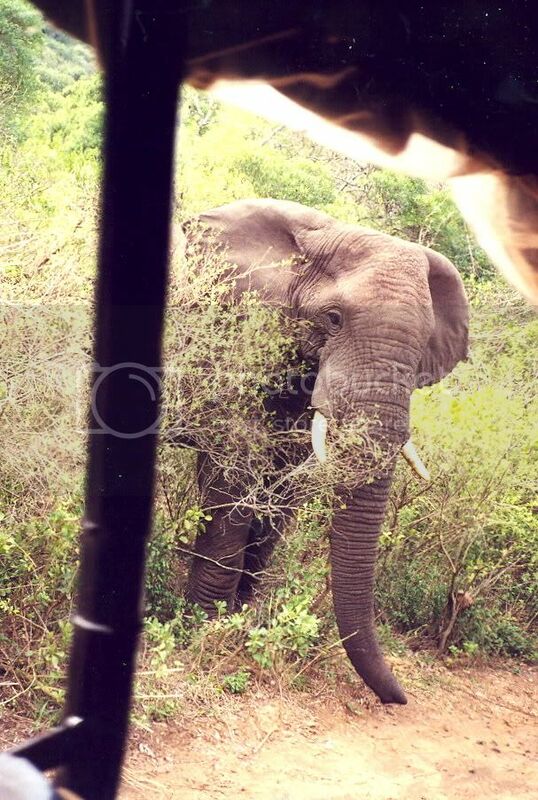 Elephant at Hluhluwe/Umfolozi Park, South Africa. Tour during 12th International Congress of Myriapodology, July 2002. 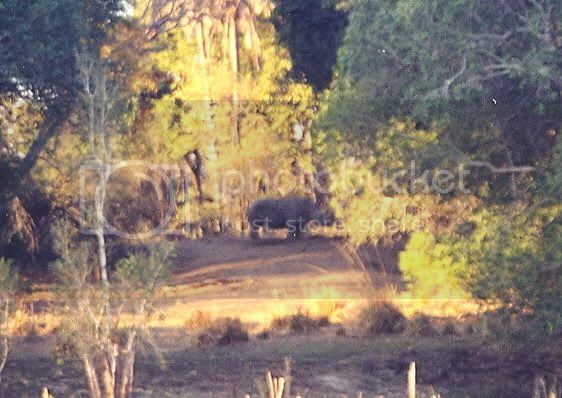 Fortunately, the driver moved the vehicle backwards to allow the elephant to pass. The Amphitheater, Royal Natal National Park, Drakensberg Mountains, South Africa. Post-Congress tour, 12th International Congress of Myriapodology, August 2002. Policeman's Hat, Royal Natal National Park, Drakensberg Mountains, South Africa. 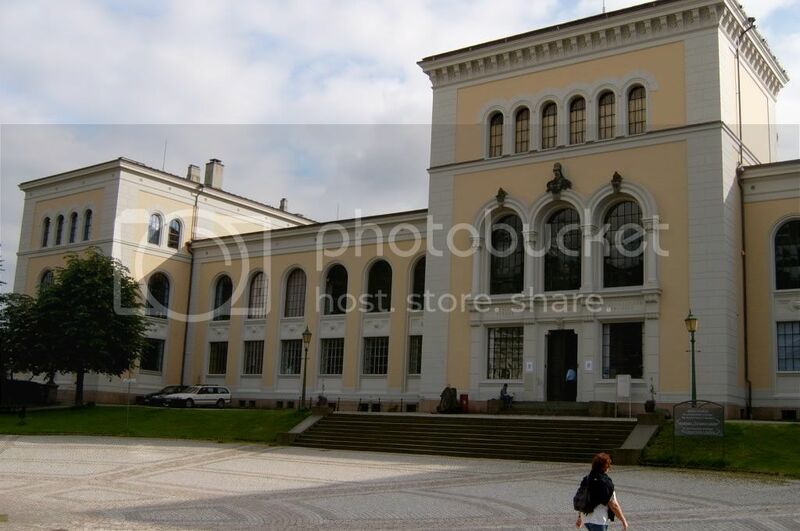 Tour after 12th International Congress of Myriapodology, August 2002. 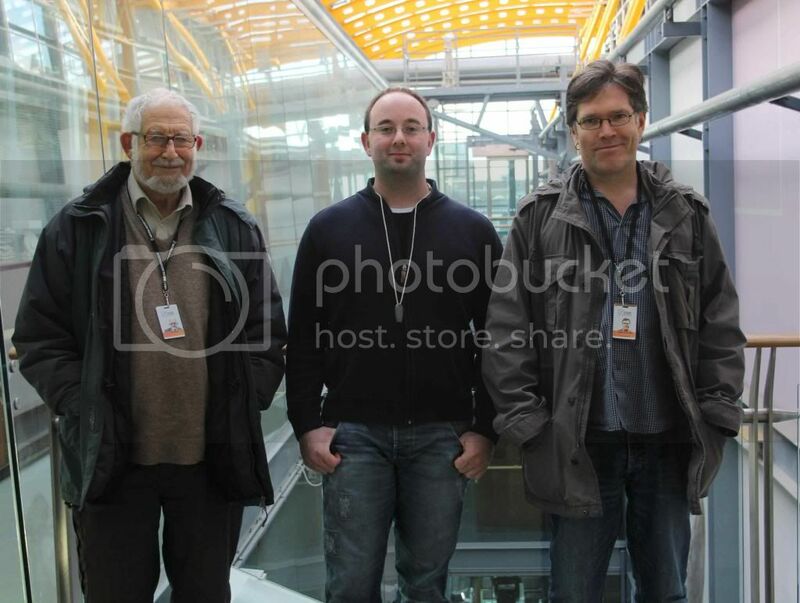 K. Tajovsky, Rene (guide), Z. Korsos, N. Tait. Royal Natal National Park, South Africa. Post-Congress Tour, 12th International Congress of Myriapodology, August 2002. Archispirostreptus gigas & 4 myriapodologists at Bergen, 2005. L-R, H. Enghoff, C. A. W. Jeekel, R. M. Shelley, B. A. Meidell. Gathering at the Virginia Museum of Natural History, March 2007. 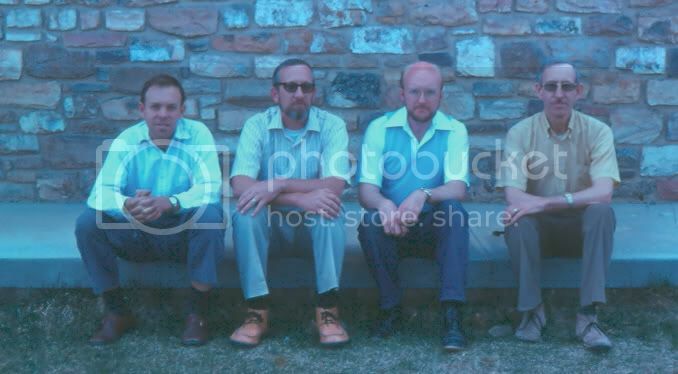 L-R, W Shear, R Hoffman, R Shelley, B Snyder. 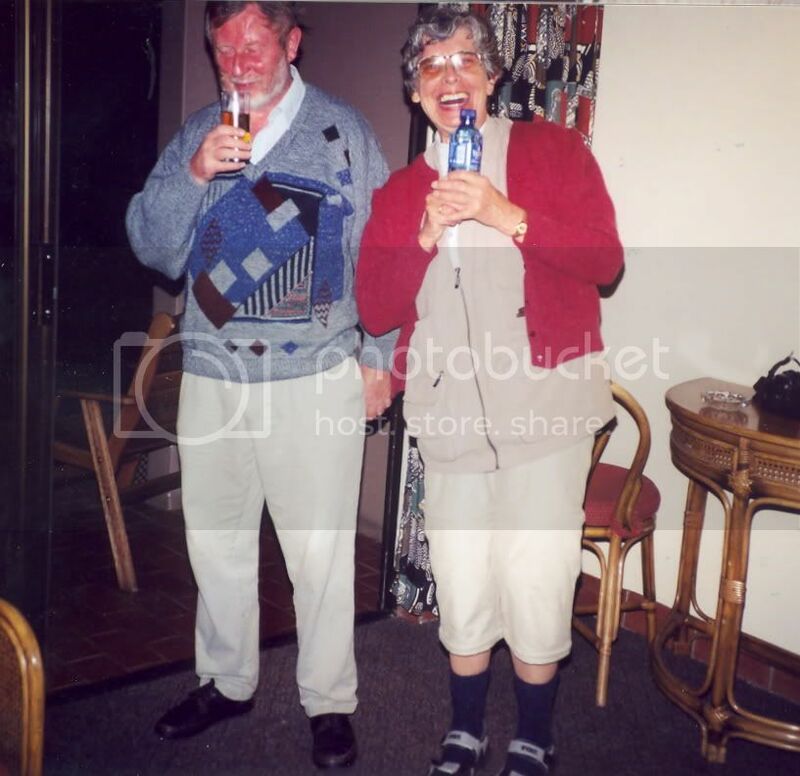 Anthony Barber, UK, and Helen Read, UK, International Congress of Myriapodology, Bialowieza, Poland, 1999. Photo by G. Andersson. 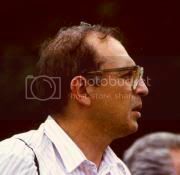 Peter Bailey (Australia), Erwin Meyer (Austria), & Peter Johns (New Zealand), 7th International Congress of Myriapodology, Vittorio Veneto, 1987. 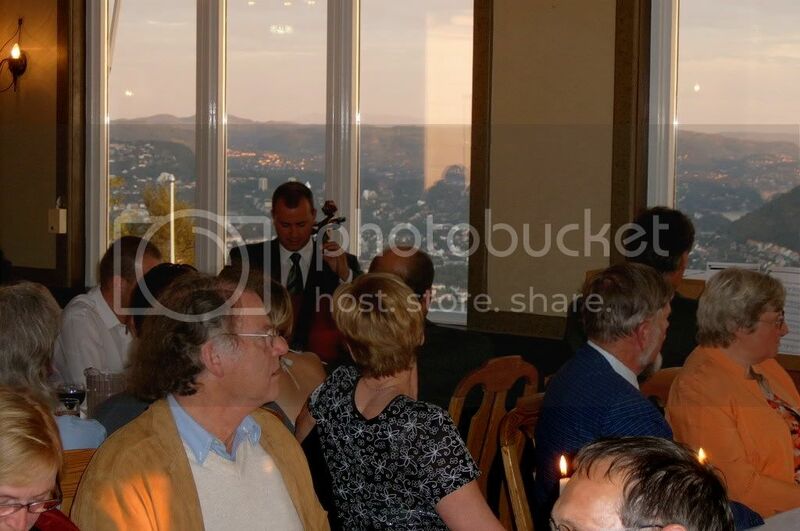 Photo bourtesy of G. Andersson. Gathering at the North Carolina Museum of Natural Sciences, 31 January 2009. L-R BA Snyder, RL Hoffman, RM Shelley, SI Golovatch, WA Shear. 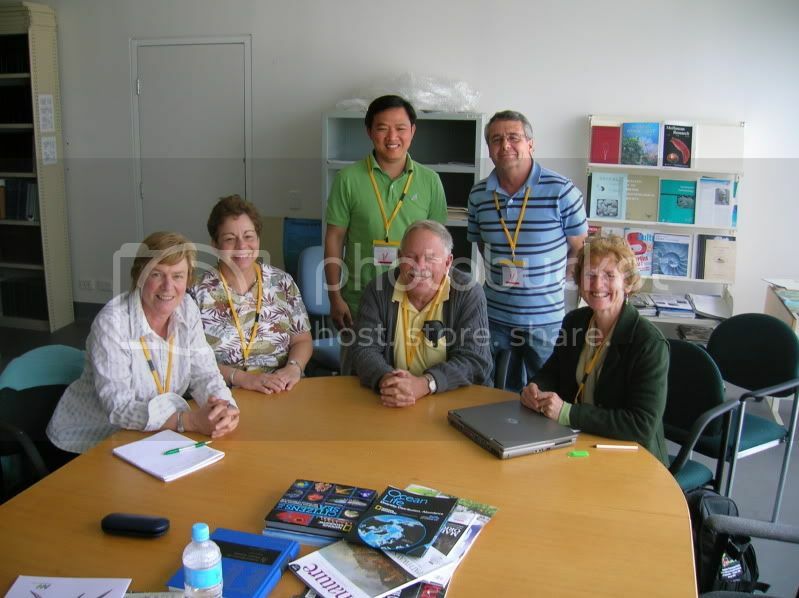 Participants at 15th International Congress of Myriapodology, Brisbane, Australia, July 2011. Gathering at Natural History Museum, London, 2011. 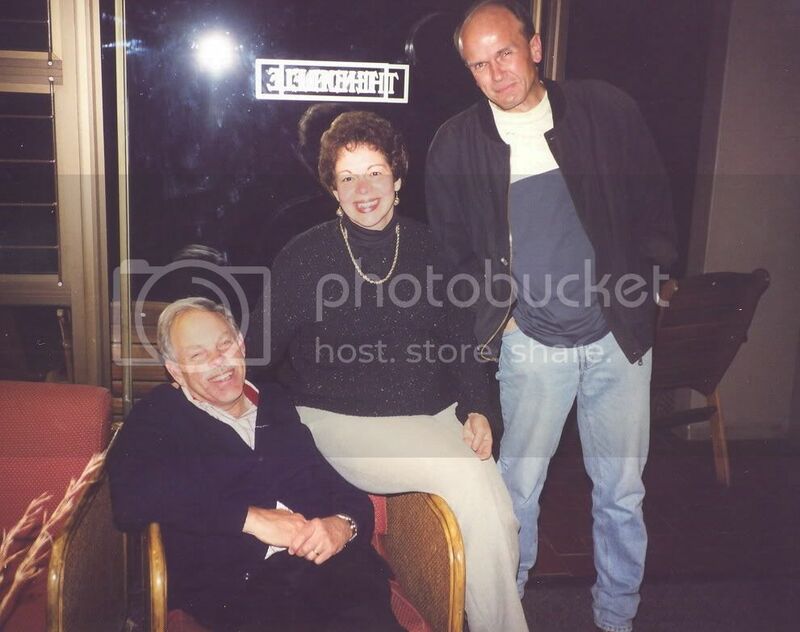 L-R: JGE Lewis, C Kronm�ller, GD Edgecombe. 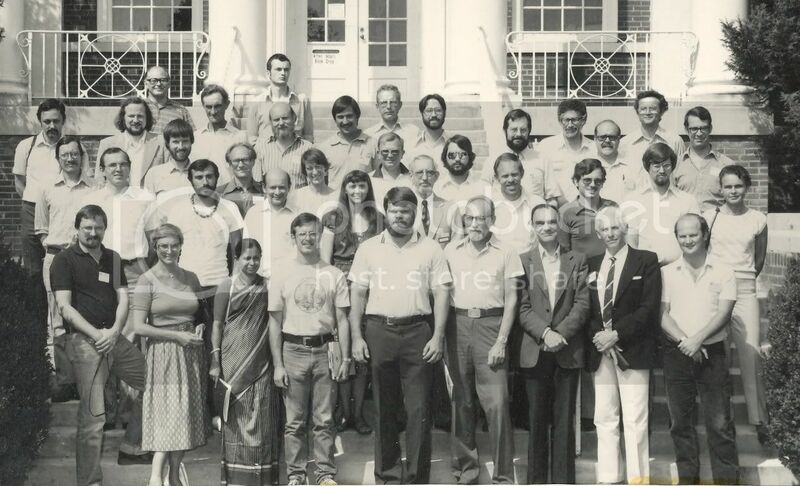 Participants at the 5th International Congress of Myriapodology, Radford, Virginia, USA, August 1981. Z. Korsos, R. Shelley, Royal Natal National Park, South Africa. 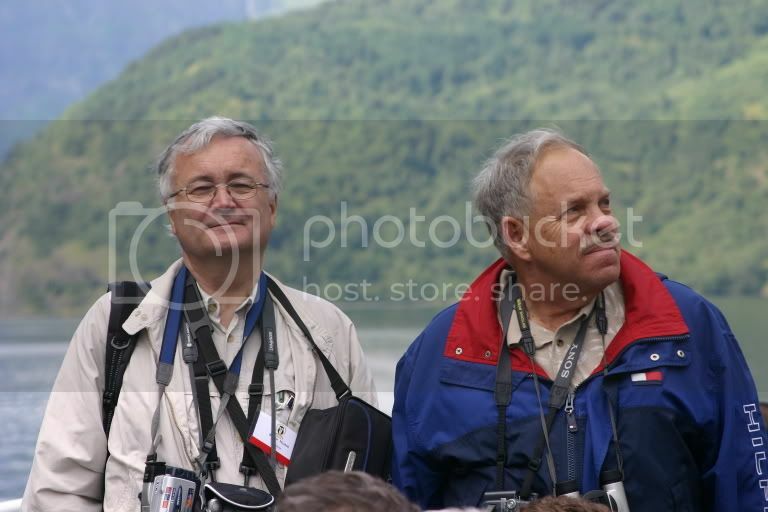 Post-Congress Tour, 12th International Congress of Myriapodology, August 2002. 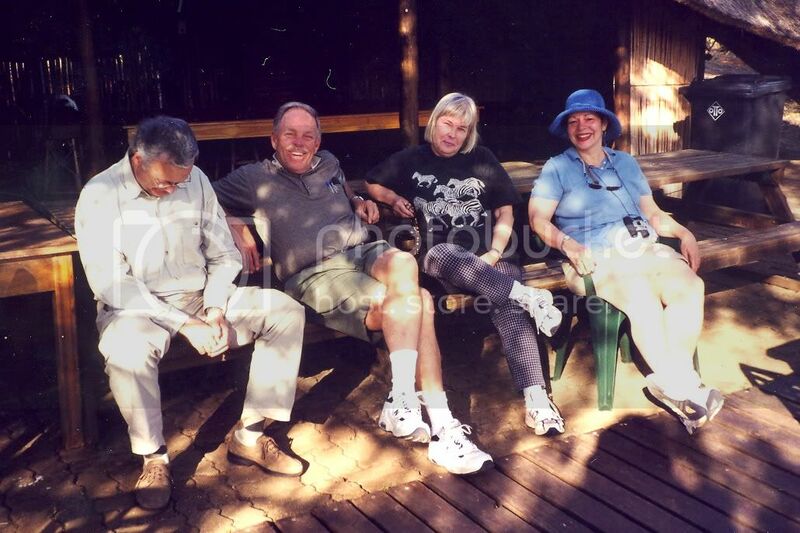 New Myriapodologists, 12th International Congress of Myriapodology, Mtunzini, South Africa, August 2002. 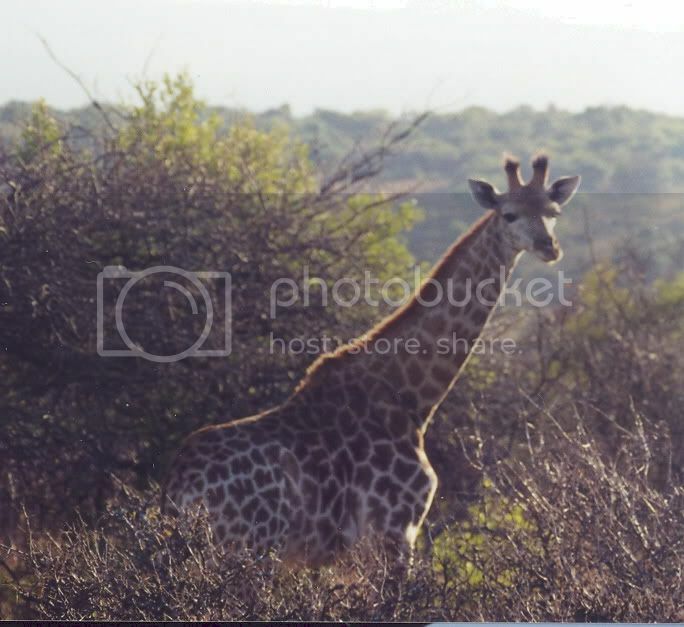 Giraffe at Kruger National Park, South Africa. 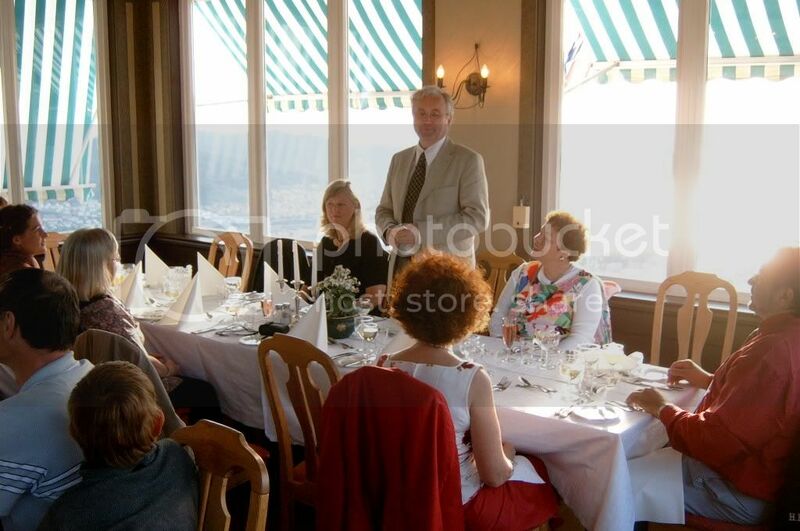 Pre-congress tour, 12th International Congress of Myriapodology, July 2002. 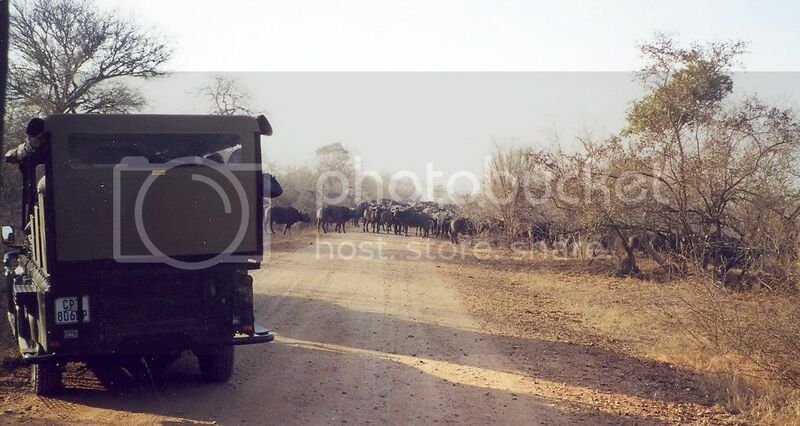 Tour vehicle and participants at Itala Game Reserve, South Africa. Pre-congress tour, 12th International Congress of Myriapodology, July 2002. 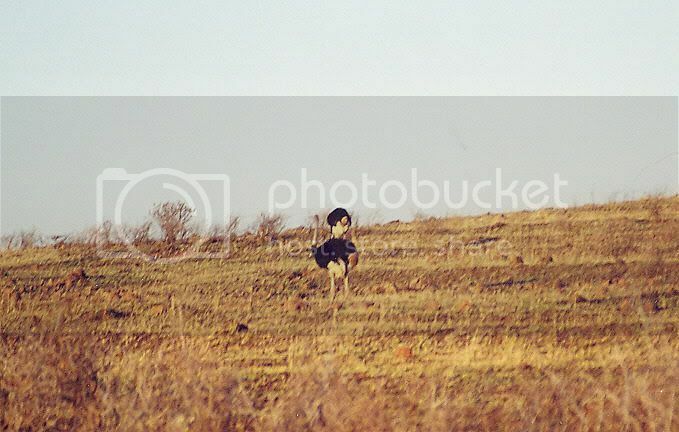 Ostriches at Itala Game Reserve, South Africa. Pre-congress tour, 12th International Congress of Myriapodology, July 2002. 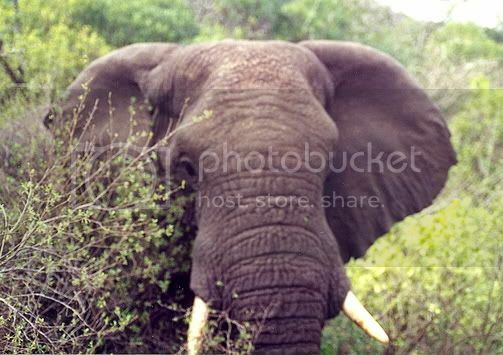 Elephant at Hluhluwe/Umfolozi Park, South Africa. 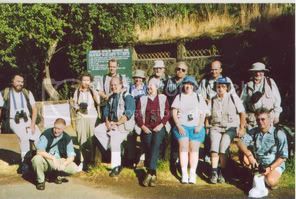 Tour during 12th International Congress of Myriapodology, July 2002. J.-J. 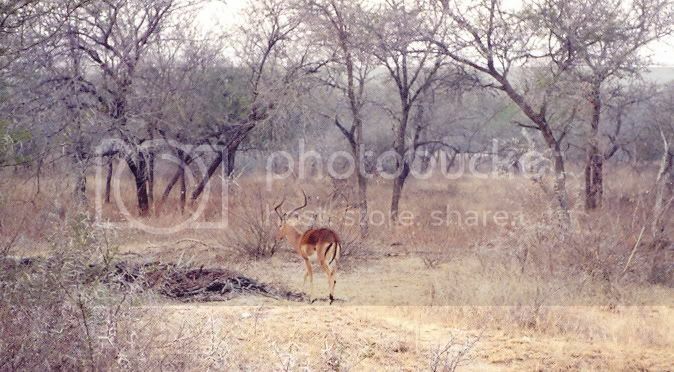 Geoffroy, G. Hilken, R. Stutchbury, Royal Natal National Park, South Africa. Post-Congress Tour, 12th International Congress of Myriapodology, August 2002. 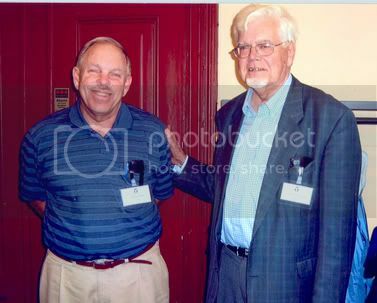 R. M. Shelley & C. A. W. Jeekel, 2005, 13th International Congress of Myriapodology, Bergen. Festschrift for Richard Hoffman's 80th birthday, Virginia Mus. Nat. Hist., Sept. 2007. 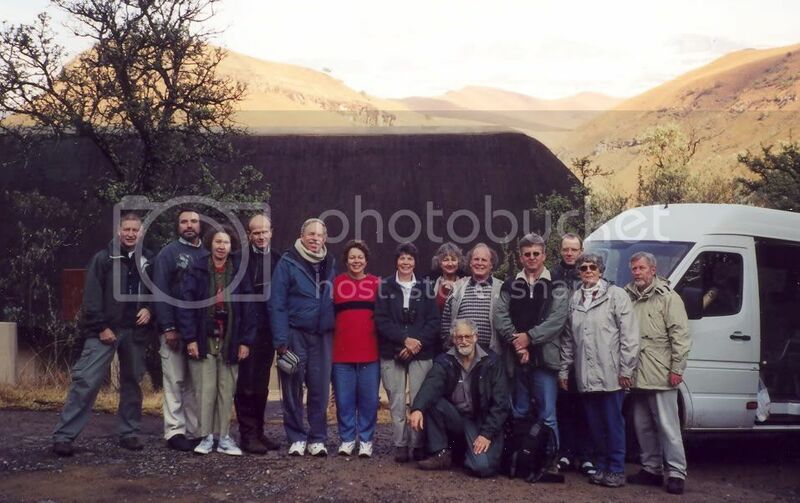 Participants at the 12th International Congress of Myriapodology, Mtunzini, KwaZulu-Natal, South Africa, 2002. 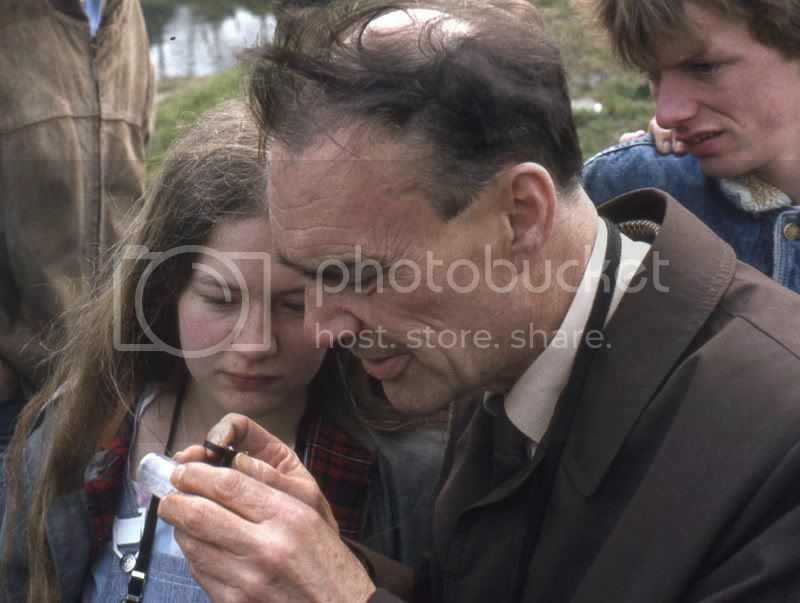 North American regional myriapod congress, Radford, Virginia, 1976. Participants (L-R): R.M. Shelley, A.A. Weaver, W.A. Shear, R.L. Hoffman. That was a LONG time ago. 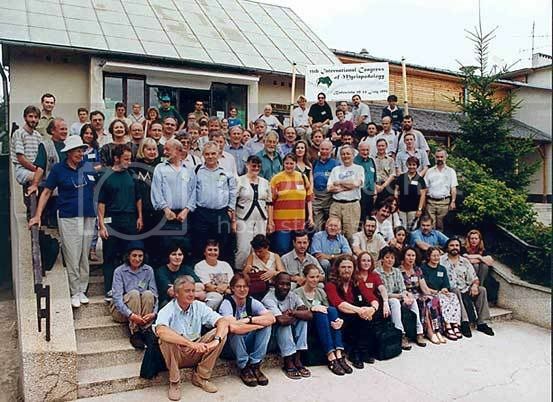 12th International Congress of Myriapodology, July 2002.
International Congress of Myriapodology, July 2002. 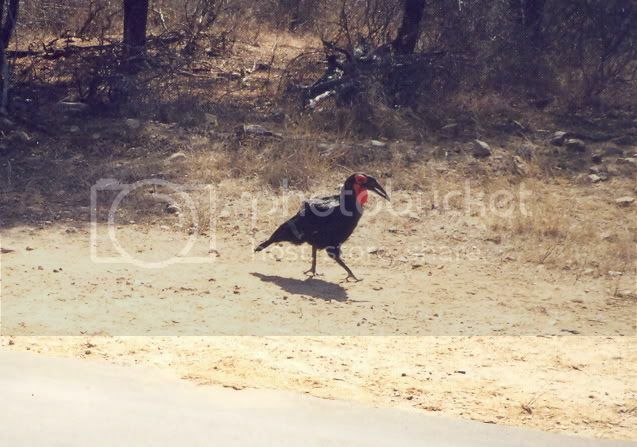 Stork at Kruger National Park, South Africa. 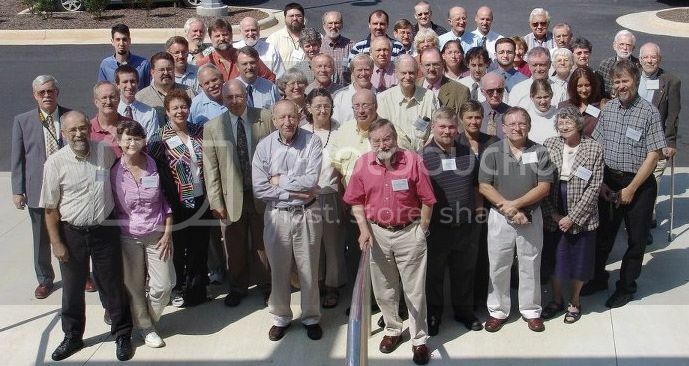 Congress of Myriapodology, August 2002. K. Tajovsky, Z. Korsos, Royal Natal National Park, South Africa. 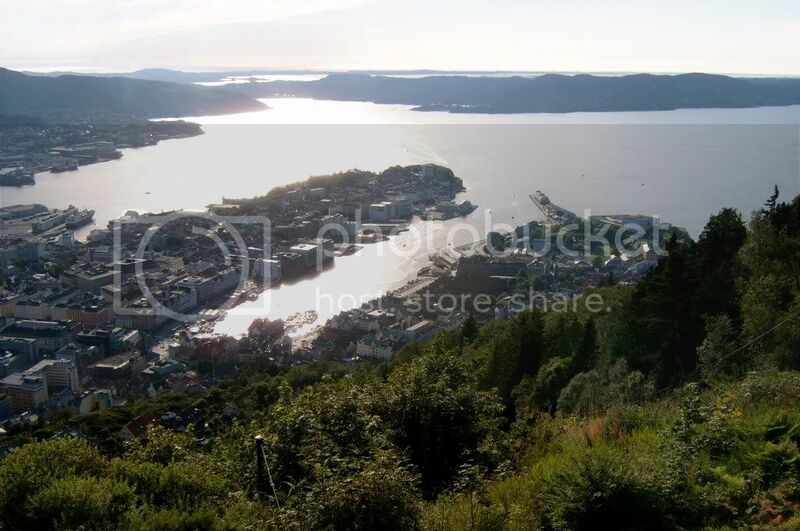 Excursion to fjord during 2005, Bergen, Congress. 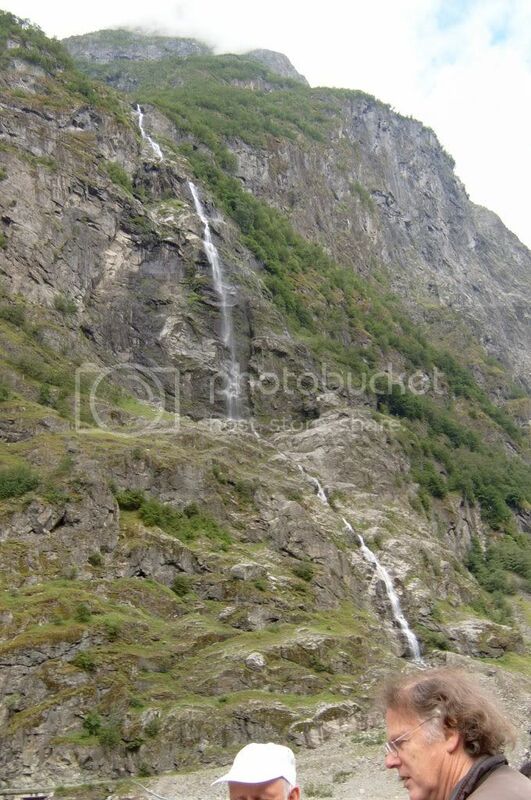 A waterfall and the head of Wolfgang Dohle. 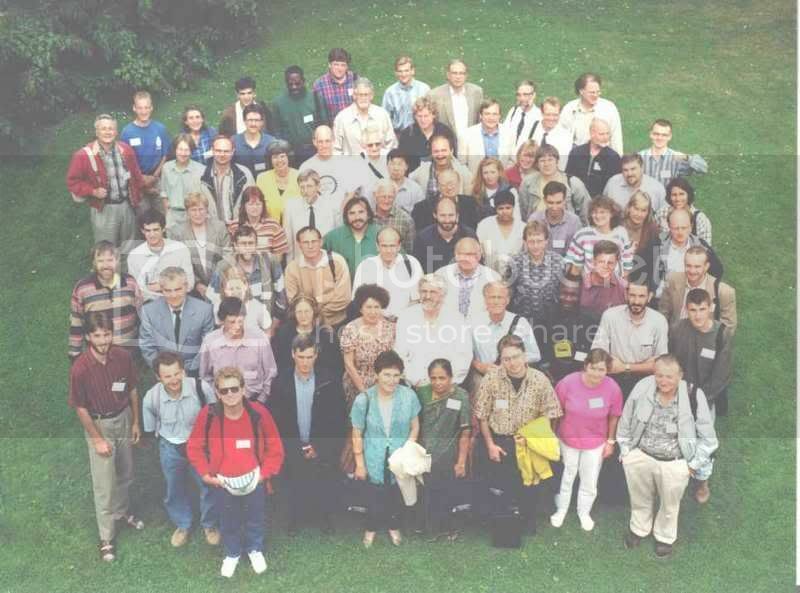 Participants at the 11th International Congress of Myriapodology, 1999, Bialowieza, Poland. Myriapodology, Amsterdam, 1984. Photo courtesy of G. Andersson. 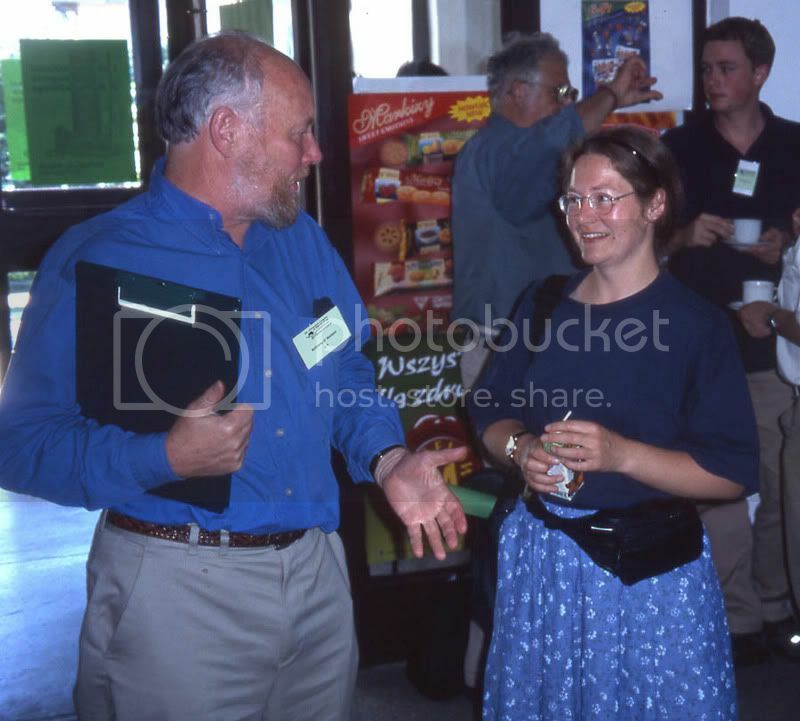 International Conference on Evolution & Biology of Amazonian Millipeds, Pl�n, Germany, May 1997. 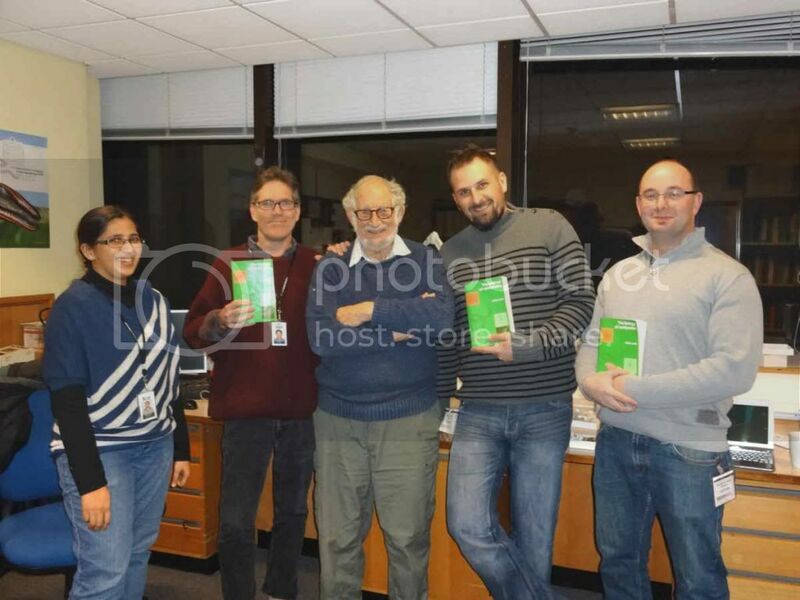 Participants (l-r): N. Naidenow, H. Enghoff, RL Hoffman, O. Kraus, SI Golovatch, J. Adis, M. Kraus, L. Bachmann, M. Zerm, J. Tomiuk. 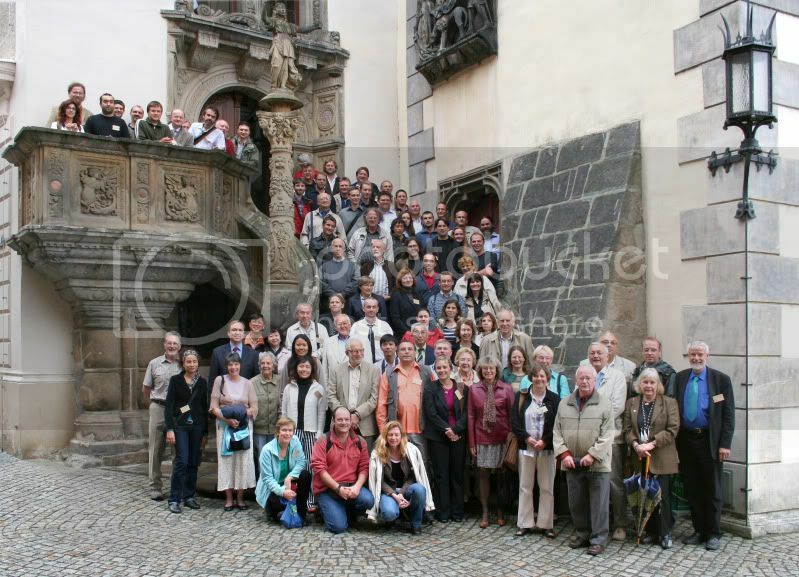 Participants at 14th International Congress of Myriapodology, Goerlitz, 2008. Photo courtesy of M. Koch. Gathering at Museum Victoria, Melbourne, Australia, Nov. 2010. 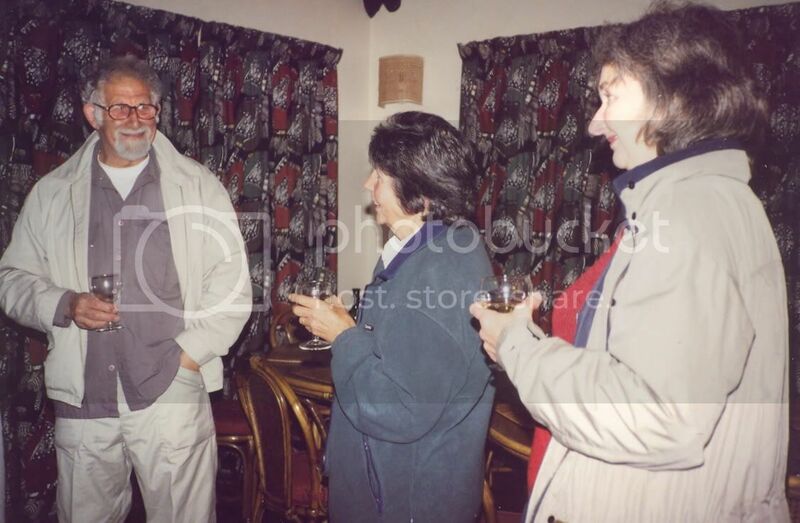 Seated (l-r) - Megan Short, Lourdes Shelley, Rowland Shelley, Cathy Car. Standing- Cuong Huynh, Dennis Black. 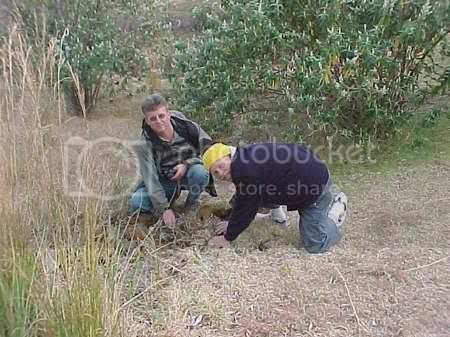 Hikers in Royal Natal National Park, KwZulu-Natal Prov., South Africa, August 2002. 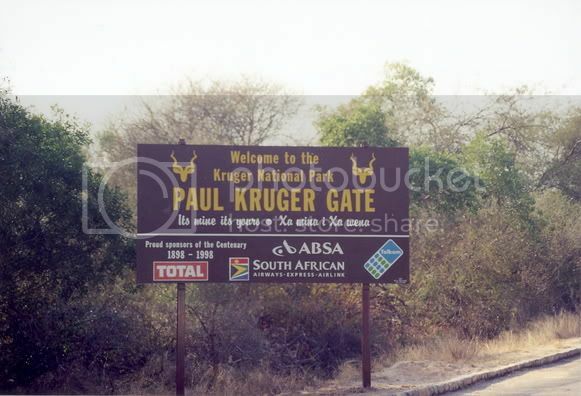 Entrance to Kruger National Park, South Africa. 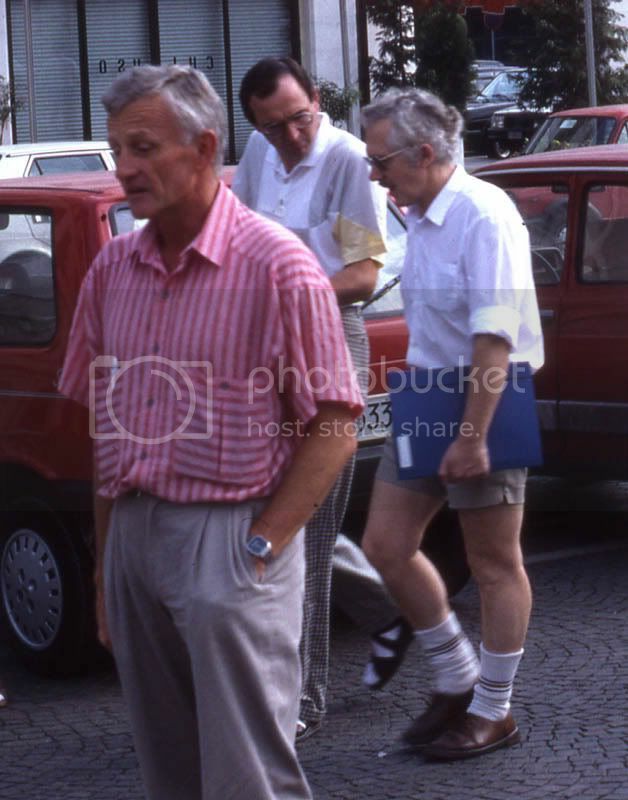 Pre-congress tour, 12th International Congress of Myriapodology, July 2002. 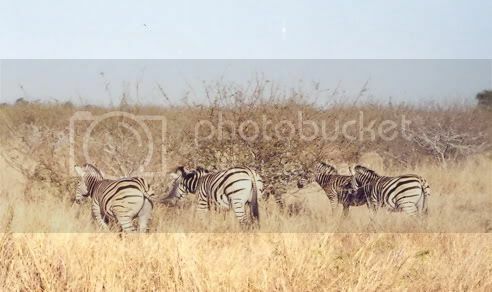 Zebra at Kruger National Park, South Africa. Pre-congress tour before 12th International Congress of Myriapodology, July 2002. 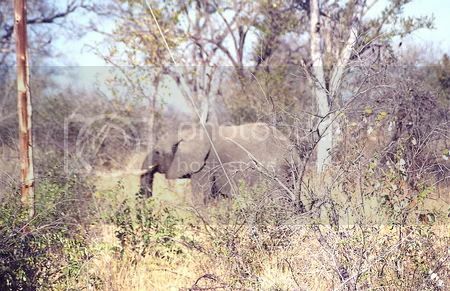 Elephant at Kruger National Park, South Africa. 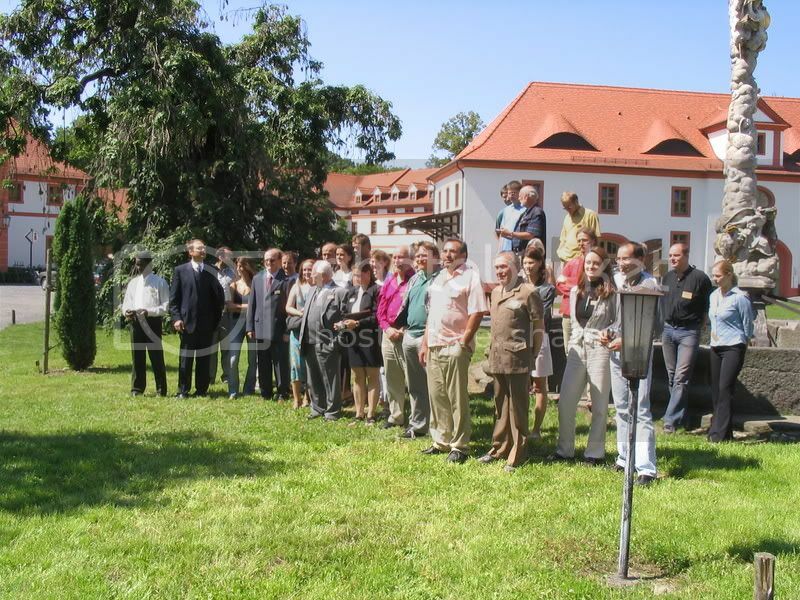 Pre-congress tour, 12th International Congress of Myriapodology, July 2002. 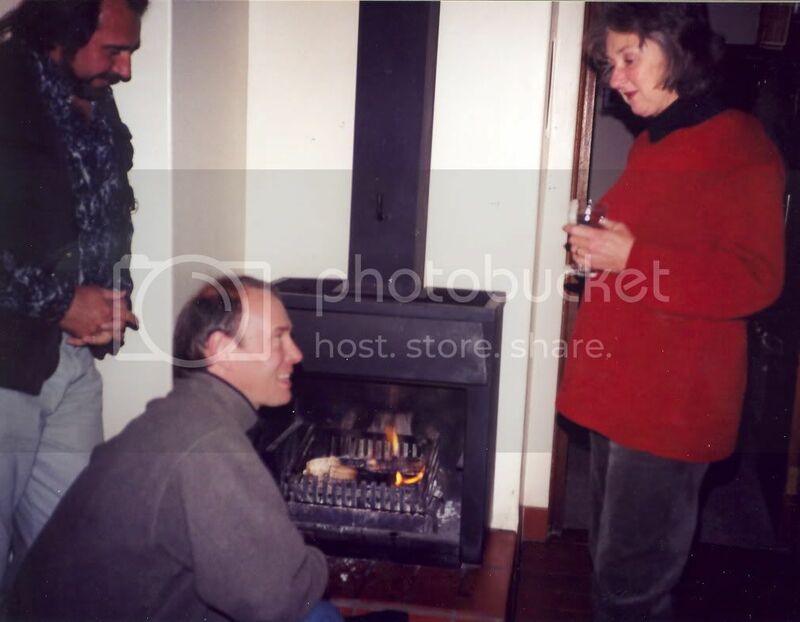 John & Sheila Lewis, cottage at Mtunzini, South Africa. 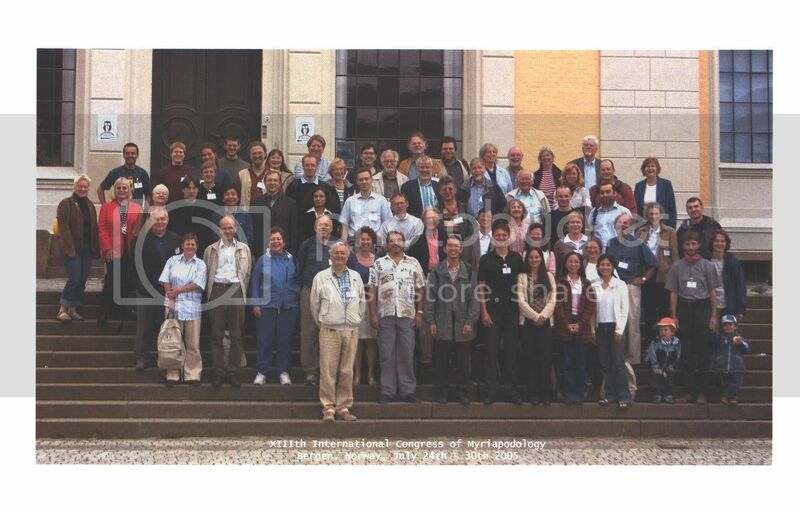 12th International Congress of Myriapodology, July 2002. Rhino. 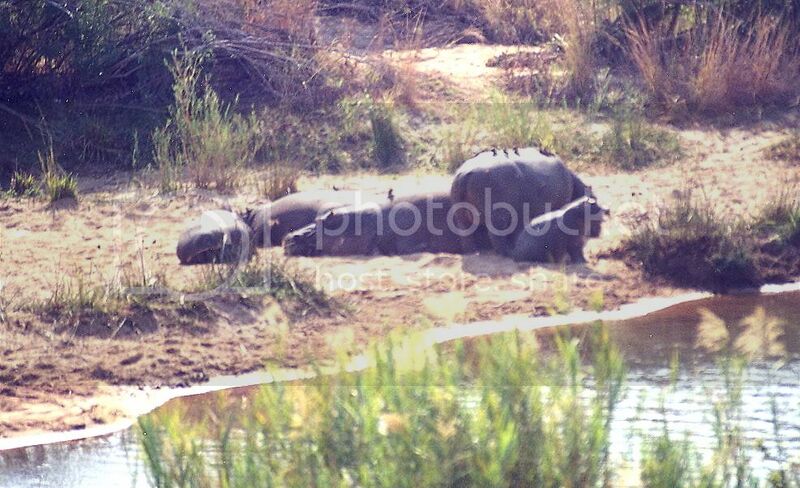 at Itala Game Reserve, South Africa. Pre-congress tour, 12th International Congress of Myriapodology, July 2002. 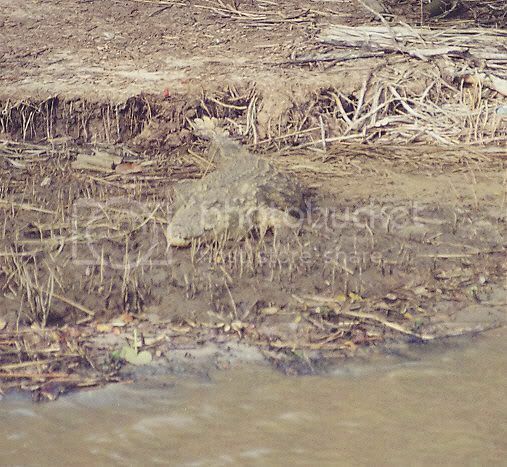 Crocodile at St. Lucia Reserve, South Africa. Pre-congress tour, 12th International Congress of Myriapodology, July 2002. 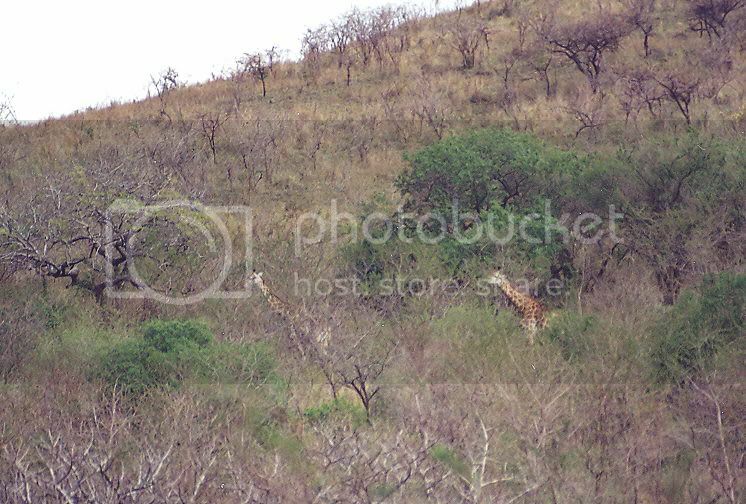 Giraffe at Hluhluwe/Umfolozi Park, South Africa. Tour during 12th International Congress of Myriapodology, July 2002. 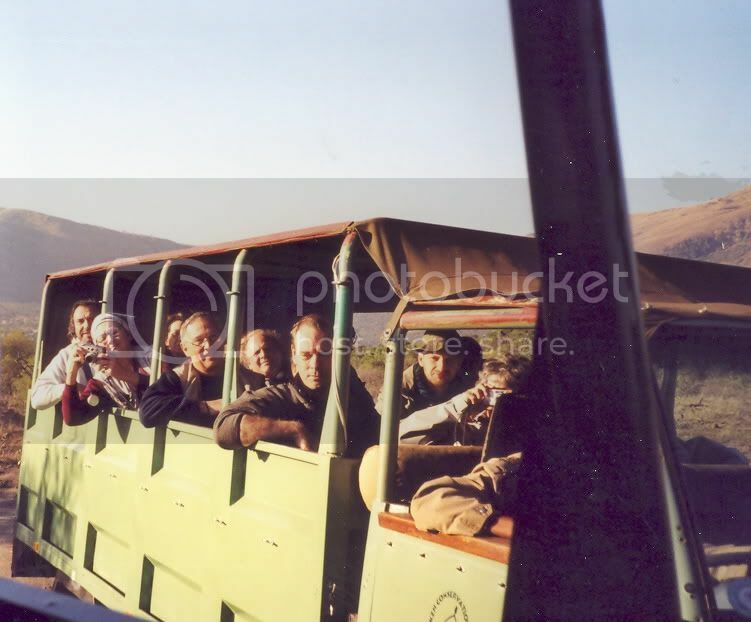 Prof. A. Ernst & Frau Ernst, Royal Natal National Park, South Africa. Post-Congress Tour, 12th International Congress of Myriapodology, August 2002. 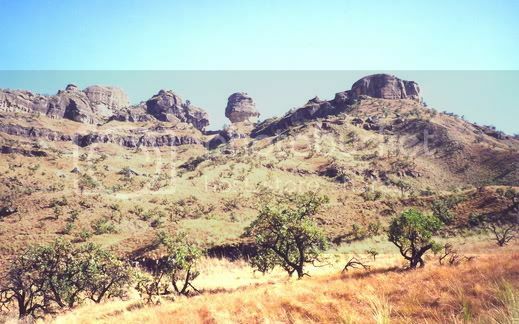 J. Lewis, S. Lewis, R. Stutchbury, Royal Natal National Park, South Africa. Post-Congress Tour, 12th International Congress of Myriapodology, August 2002. Bergen Museum of Natural History, Norway,July 2005. 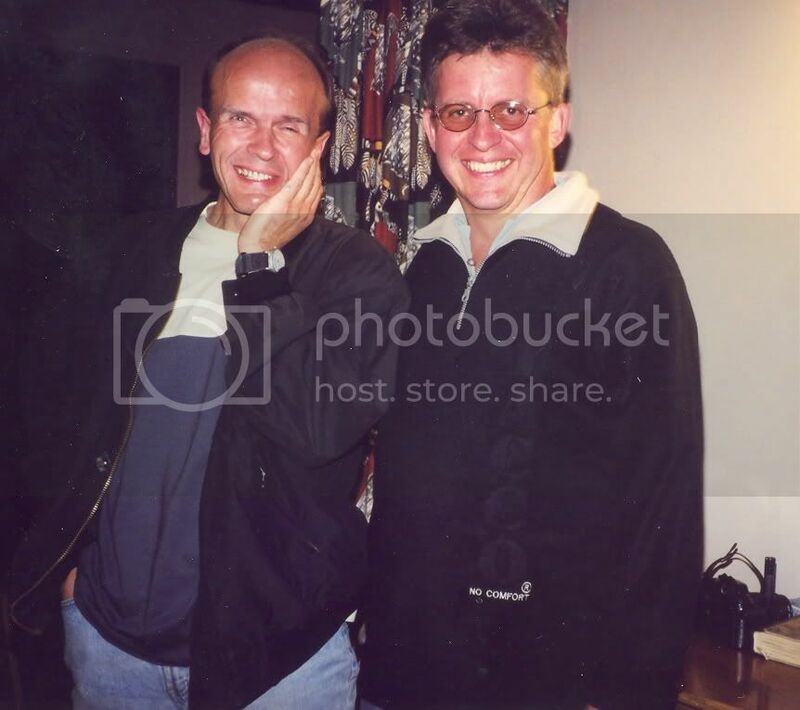 Bjarne Meidell, Norway; Rowland M. Shelley, USA. 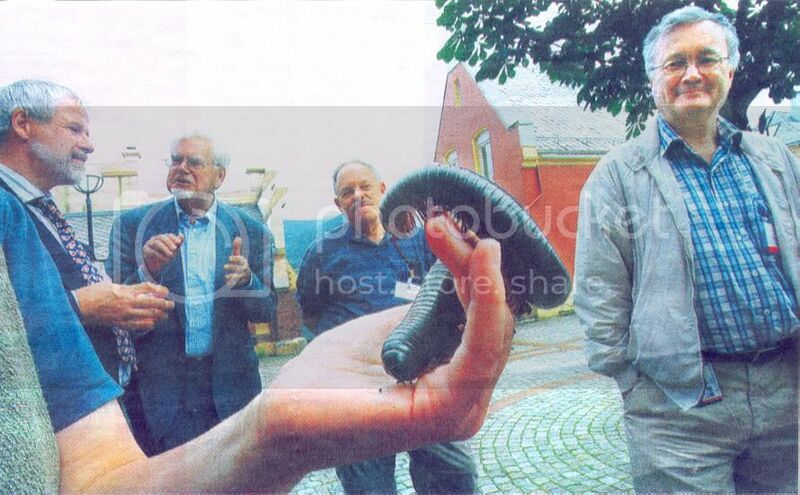 German myriapod group, Thuringia, Germany, 2004. Photo courtesy of N. Lindner. 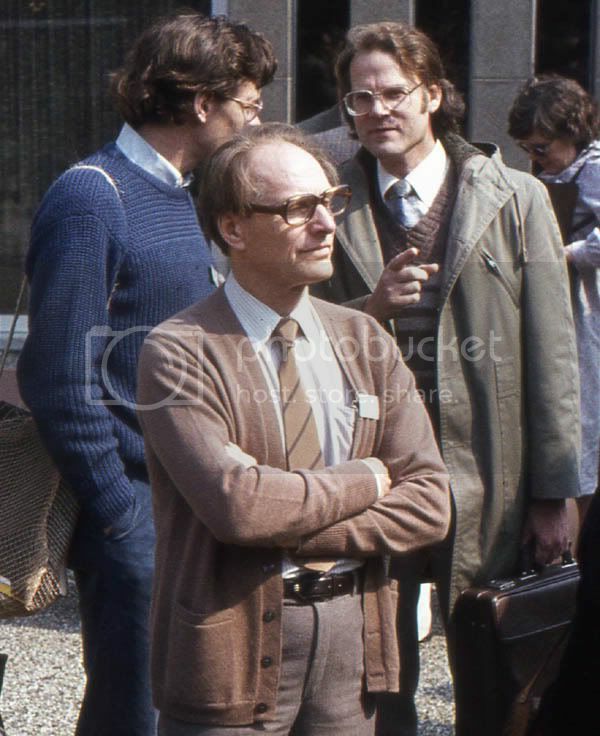 Ulf Scheller (Sweden) & Wolfgang Dohle (Germany), 6th International Congress of Myriapodology, Amsterdam, 1984. Photo courtesy of G. Andersson. 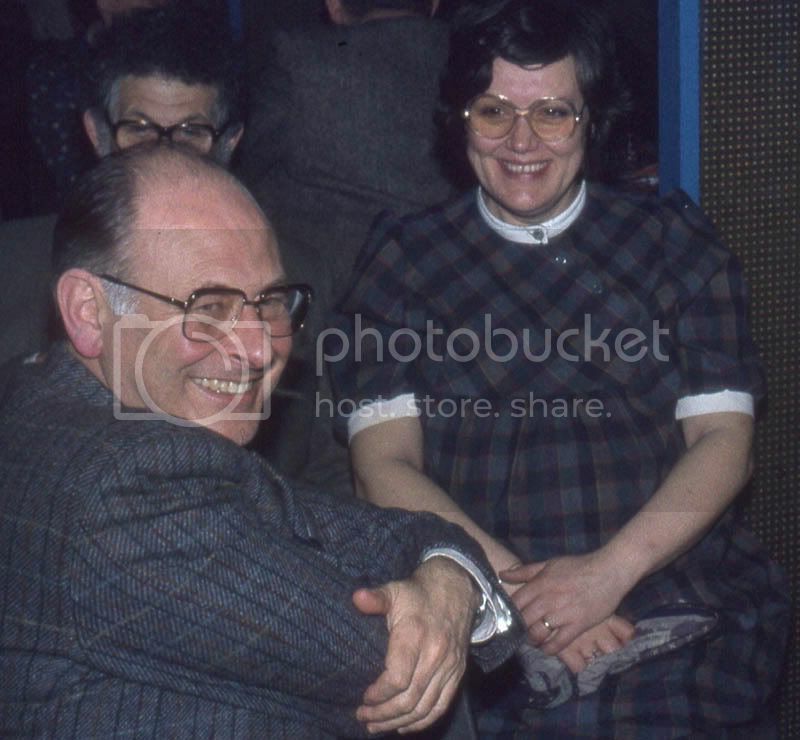 Desmond Kime, Belgium, and Mrs. Kime, 6th International Congress of Myriapodology, Amsterdam, 1984. Photo courtesy of G. Andersson. 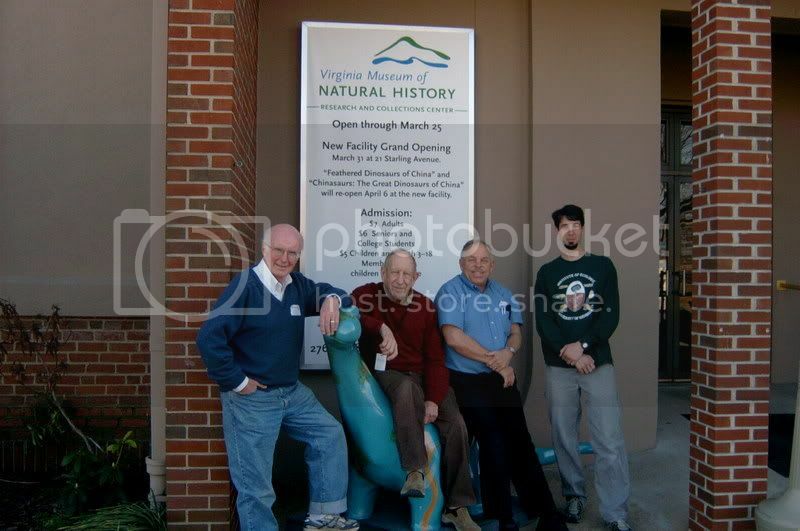 Gathering at the North Carolina Museum of Natural Sciences, 31 January 2009. clockwise - WA Shear, BA Snyder, SI Golovatch, L Golovatch, L Shelley, RL Hoffman, RM Shelley. Gathering at the Virginia Museum of Natural History (VMNH), 10 Sept. 2010. 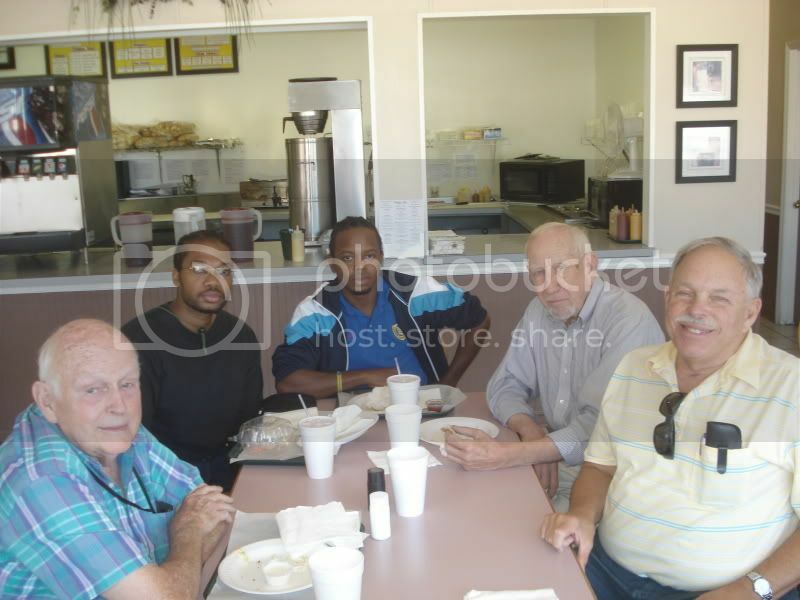 L-R, Oliver "Ollie" Flint (Smithsonian Institution), Anton Norville & Aaron Forde (University of the West Indies, Barbados), Richard Hoffman (VMNH), Rowland Shelley (North Carolina State Museum).